Ready to take your drag racing to the next level? Or ready to jump from a Stage 1 or 2 racer to a fully custom built Stage 3 engine, built from the ground up? 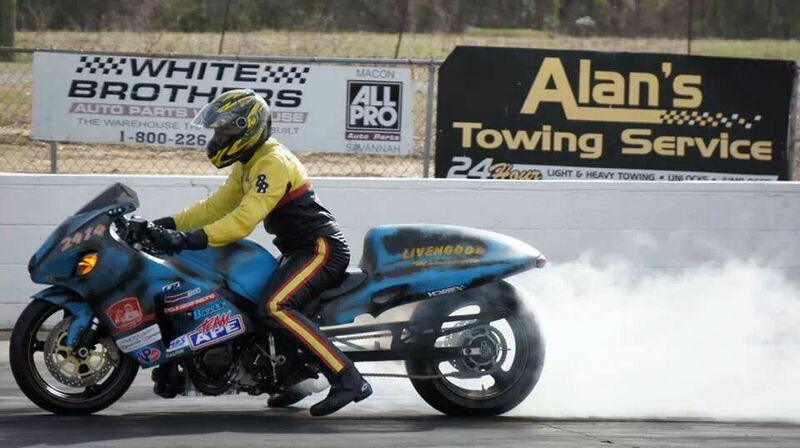 Either way, Livengood Motor Sports has a successful track record of building winning drag racing motorcycles. Go read our Blog here to see some of Paul Cavanaugh’s Hayabusa builds and records if you need more concrete evidence! We price our engine builds in a very non-specific manner, as every motorcycle is different and requires different work, parts, and services. Call us at 678-442-0072 to get more information and schedule your next build.